The DC Essential Edition series of graphic novels highlights the best standalone stories the medium has to offer, featuring comics' greatest characters. 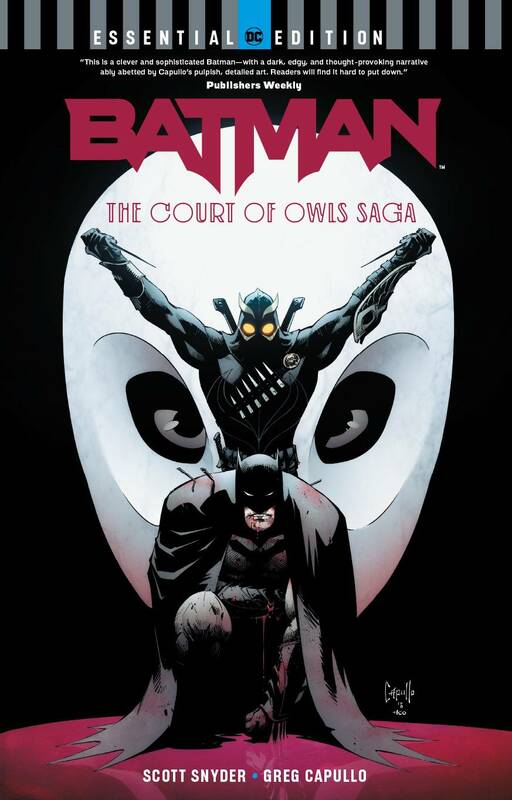 Hidden for years, the mysterious Court of Owls surfaces in Gotham City-what must Batman do to defeat them, and what deadly connection do they have to his past? Scott Snyder and Greg Capullo's masterpiece epic is collected in its entirety in trade paperback for the first time ever! Collects issues #1-11 of BATMAN as well as bonus material including sketches, scripts, design concepts and variant covers..